SAVE A HUGE $1200 - UNBELIEVABLE VALUE! 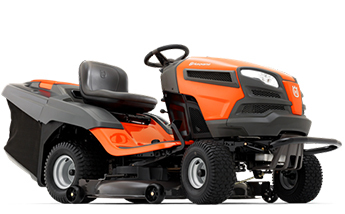 TC 238 is the perfect Catcher Ride On Mower for homeowners and landowners with larger gardens who need a durable and comfortable tractor with high manoeuverability. It is an efficient garden tractor that offers excellent colelction of grass clippings and leaves, giving tidy cutting results. The spacious, integrated collector is easily emptied from the driver's position. Equipped with a powerful, twin cylinder Endurance Series engine, that is easyly started with the touch of a button, without any choke. BioClip from seat and toolless RapidReplace blade change system adds to the convenience. Displayed instore and ready to take home today!